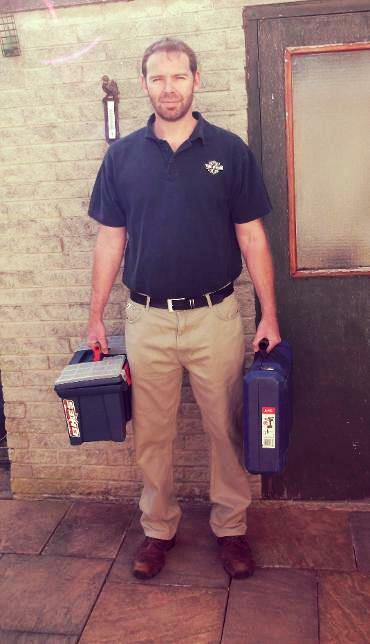 Lincoln Locksmiths is owned by Richard Steele (see photo) who has been a locksmith for over 10 years. After subcontracting for various national companies he decided to go it alone and formed a Locksmith business in Sheffield south Yorkshire. After 5 Years he moved to live in Lincoln and Lincoln Locksmiths Services was born. As a small family run enterprise you can be sure you a getting a more personal service and we care greatly about customer service as we believe the best form of marketing is recommendation through word of mouth. That's why we strive to provide a service that is fast, friendly, with quality workmanship and at a reasonable price. We already save you an extra 20% on the larger companies as our turnover is under the VAT (value added tax) threshold so we don't have to charge VAT when we invoice you. We pride ourselves on honesty and integrity and encourage past customers to leave reviews on our website or facebook business page whether good or bad as long as they are honest. We are always happy to give free advice on security matters and free quotes where possible. And we will never charge more than we have quoted so there'll be no nasty surprises when the bill comes. So thanks for visiting our website and please call or email if you have any questions or work you would like us to carry out.